All three Bishops from The Church of England in Lancashire are heading to Liverpool on Thursday for the latest Northern Bishops’ Mission event. Rt Rev Julian Henderson, the Bishop of Blackburn; Rt Rev Philip North, the Bishop of Burnley and Rt Rev Dr Jill Duff will travel from Blackburn Diocese to be in Liverpool Diocese (which stretches well beyond the confines of the city itself) for four days, from March 7–10. 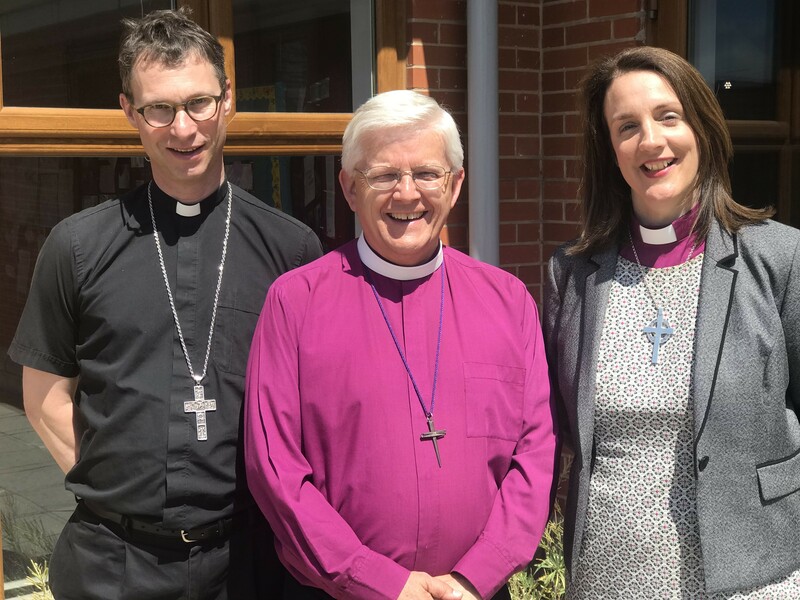 Launched in 2015 by the Archbishop of York, the first Northern Bishops’ Mission was in Sheffield Diocese, followed by our Diocese in 2016 and then two further Dioceses a year since 2017. The Archbishop attends every Mission and is joined by many of the Bishops from northern Dioceses; all of them working with teams they bring from their home Dioceses; alongside teams from local churches … all coming together to spread the Gospel message. When the Mission was in Blackburn Diocese, the event was entitled ‘Crossroads’ and was used as a platform to launch our (then) new Vision 2026 – Healthy Churches Transforming Communities. We also ensured there was a ‘legacy’ from the event, with parishes further emboldened to ‘do mission’ in their local areas following the more than 450 successful mission opportunities that took place over four days. Now it’s the turn of Liverpool Diocese and their theme will be ‘Tell, Serve, Give’. The four-day mission formally begins at 2pm on Thursday, March 7 with a commissioning service at Liverpool Cathedral, when hundreds are expected to gather from across the Diocese. Each Bishop and their team are collectively assigned to a local ‘Deanery area’ within the host Diocese. A list of team members for each of our Bishops can be found at the end of this article. Hundreds of local events are planned and the events our own Bishops and their teams will be involved in include multiple school visits; foodbank visits; community lunches; quiz nights; various breakfast, lunch and supper club meetings; street evangelism; talent nights; a ‘pub mission’ event; loads of youth focussed events; a Zumba party; a Park Run; movie evening; jazz night and much more! The mission weekend will close with special church services in parishes across the Diocese on the Sunday morning. Bishop Julian will be based in North Meols Deanery. Speaking today, he said: “Preparations for 'Tell, Serve, Give’ have been taking place for many months now and it is exciting now to be approaching the start of the mission. “I am looking forward to joining the Archbishop; fellow Bishops from across the northern province; our own teams from Blackburn Diocese and the teams of clergy and parishioners from across Liverpool as we spend four days focussed on mission work. Meanwhile Bishop Philip and his team are based in West Derby Deanery. He said: “I am really looking forward to going to Liverpool Diocese and can’t wait for the opportunities ahead to meet and greet some fantastic people and to share to Gospel message. Bishop Jill, who is based in Huyton Deanery with her team, is looking forward to returning to Liverpool. Before taking on the role of Bishop of Lancaster in 2018, her entire ministry career had been in Liverpool Diocese. Bishop Jill said today: “I am delighted to return to Liverpool – a place that has always been close to my heart. I am married to a Scouser and both of my boys were born there. 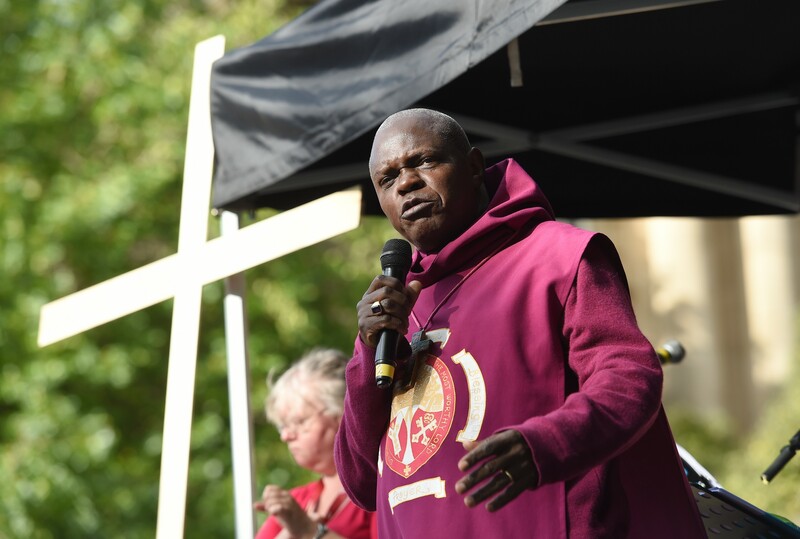 The Archbishop of York, Dr John Sentamu, says: “It is wonderful that the churches across the Diocese of Liverpool have committed to ‘Tell, Serve, Give’.